MRC who is the US distributor for Italeri supplied Cybermodeler with a kit, or at least photos of the parts, and they have published this on line review. I'm guessing he only has photos because if he had this in his hands he would know that everything in this kit is new including the hull. You can see from the article that he's building a very nice diorama of the 596 so I'm sure he's familiar with the kit. As soon as I get my copy I'll do an in depth review of the kit. In the mean time, enjoy. OK review, except for one major thing, which the reviewer obsesses over -- quite incorrectly, in my view. He states, as if it is undisputed fact, that after PT 109's starboard forward depth charge was knocked through the deck by the jolted torpedo incident, the depth charge, its cradle and the "shredded" section of foot railing were not replaced -- and how it would be inaccurate to build the boat as it was under JFK after that incident (the 109 at the time of her sinking) with both depth charges, cradles and starboard foot rail intact. This is a heavy and total load of B.S.! 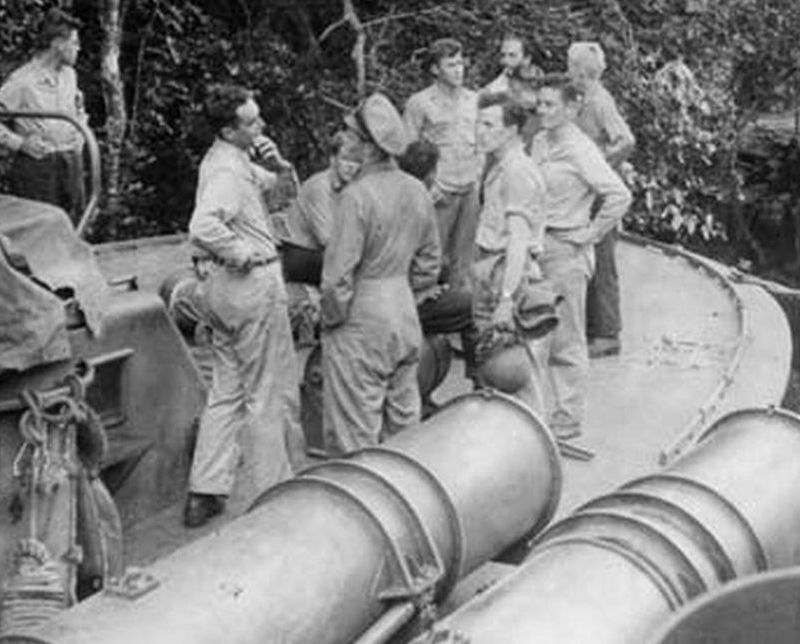 In the first place, it was the port forward torpedo (not the starboard) that was jolted from its tube, knocking the port depth charge through the deck, as the wave that caused this struck the port hull. And -- there is absolutely no evidence I've ever read of or heard about in 50 years of reading about and researching PT 109 that supports or points to the depth charge, its cradle, and a "shredded'' section of foot rail not being replaced -- but this reviewer writes as if this is accepted fact. I know some PT enthusiasts have idly speculated about this when discussing the 109, but, that's all it is -- idle speculation. The hole in the foredeck, the depth charge cradle, the foot rail, and the depth charge itself all would most probably have been repaired and replaced before the 109's last patrol. There's absolutely no reason to think otherwise, and foolish to make such definitive statements without any basis in fact. It is certainly doubtful that the Commander would have allowed PT-109 to continue on with any patrols with this so called type of damage. It s highly likely that the base force would have patched this area, and sealed it against the elements. I am still doubtful that this incident of a depth charge bouncing up in the air and having the force to crash through the deck happened, but for sake of conversation, let's say that it did. I for one highly doubt this type of damage would have gone unfixed. David Waples and I surprisingly agree on this point that the other undamaged depth charge was probably removed. Or, they replaced the damaged one. Personally, I think the undamaged one was removed. I've mentioned before that after looking at the photo of the 109 under way that it is very possible, and yes pure speculation on my part, that when the damage was repaired the depth charges were set back so it wouldn't happen again. If I were in Kennedy's shoes and I went through that type of an incident, that's probably something I would think about doing. We don't see it a lot but it has appeared in other photos where the depth charge racks are set back from the edge and the charges allowed to roll on the deck before leaving the boat. Again, my two cents and I have no proof of it. Like you guys I don't think it makes any sense to leave one depth charge on the boat. Maybe one day a document will turn up explaining the reason it was moved back. Also, the free run across the deck seems iffy to me and makes me wonder why longer tracks weren't mounted. The funny thing is we don't have a photo of the depth charges in any other position than in the photo under Kennedy's command so we don't know if it was ever anywhere else. That said it would have to be mounted to where the torpedo could strike it when dislodged, so we can make certain assumptions on its location. The photo of the 109 doesn't clearly show if it had tracks like in the photo Jeff provides, but on the 109 photo it does appear to be closer to the edge than in this photo. It's not a great picture so I could be wrong. The 109 could have had this same mount but placed it closer to the edge. The photo isn't that great so who knows? My assumption stated earlier was that the depth charges were originally mounted in such a way that in the stowed position the torpedo was able to come out and strike it. After repairs I again assumed from the photos that the depth charges were moved back so it wouldn't happen again. Well now I'm second guessing that assumption. The attached drawing is one I made up after I made the original Revell kit. 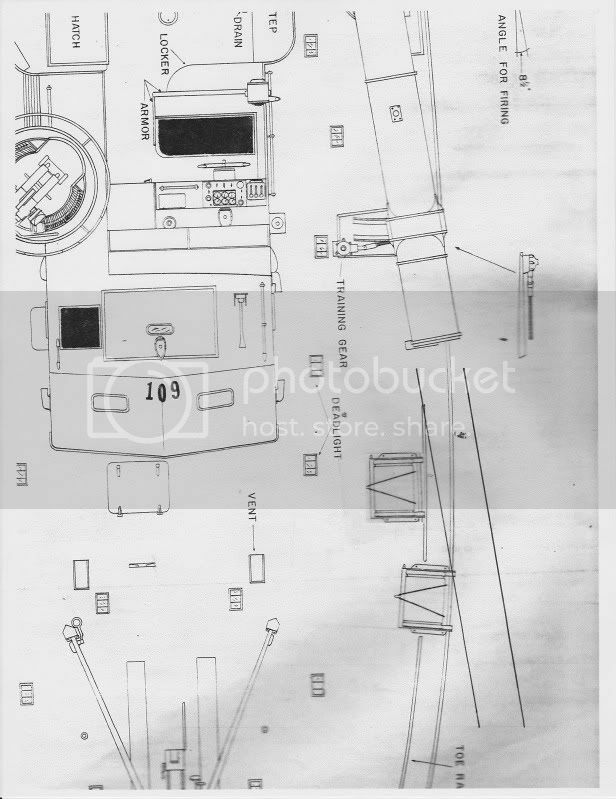 As the 109 photo shows the depth charge is mounted closer to the chart house and would have to be pushed way back from the deck edge to avoid being hit even in the firing position. Hard to say why the 109 mounted it this way. It's also hard to say if she had depth charges at all at the time of her sinking. There's no evidence to support either way. There certainly is no evidence to support a single depth charge at that time. The only evidence we have is of the 109 photo shown below before the 37mm was mounted. We don't even know if the depth charge incident occurred before or after this photo was taken. Something else to muddy the waters. Look at the crew photo below. 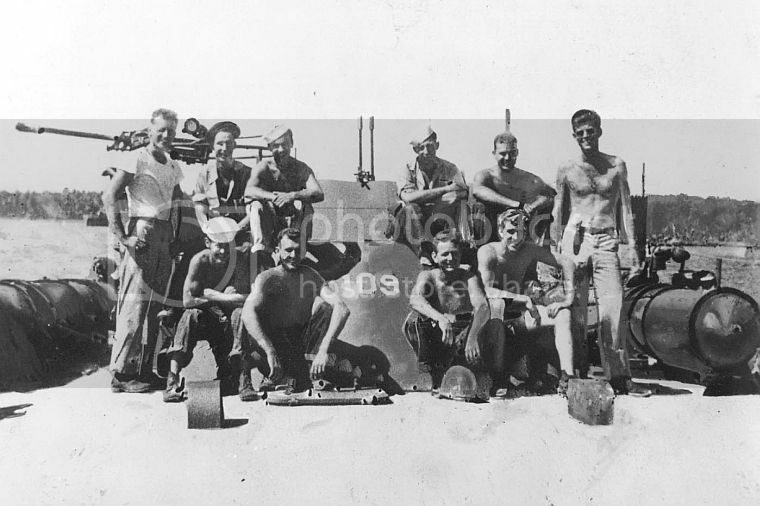 Given the location of the depth charges in the photo wouldn't we see a hint of one in the crew photo below? Do we know when the crew photo was taken? If you want to build her accurately based on the evidence you build her as shown in the attached photo with depth charges and no 37mm. That may be how I do it. Not sure yet. By the way I wrote Mike and pointed out the error in his review. I asked him if he would correct it and also to come by and visit with us. The photo that Jeff put up clearly shows the edges of the depth charge rack moved back from the edge of the deck. This would suggest that the position of the rack, closer to the edge of the deck was in fact an interference of the torpedo when fired from the tube. Take into consideration that we already know that the damp climate of the Pacific, and improper charges did cause some torpedoes to hit the deck when fired. With the Depth charge rack installed close to the edge of the deck, this could cause quite a problem. 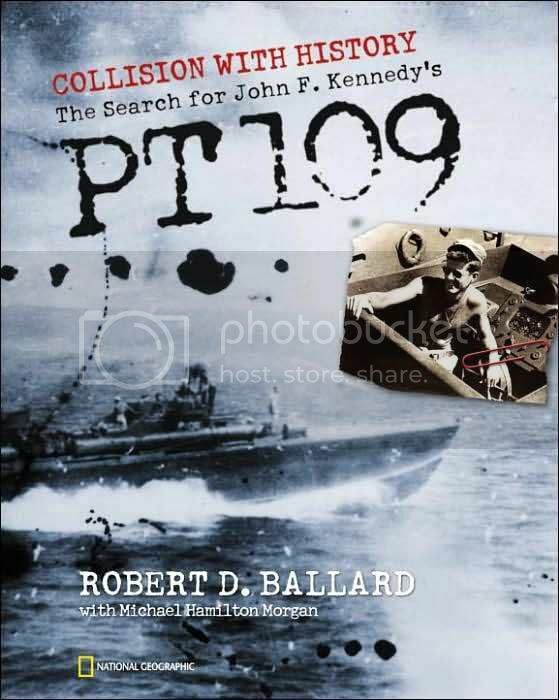 In looking at the cover of my PT-109 book, which is shown on our message board, it is very tough to tell the position of the forward rack, but it almost looks as though that starboard rack has been moved back, out of the way from the launching MK-8. Again, with this not being a clear view type photo, one can only guess, because of the angle of the shot. As Dave mentioned, without dates, it is tough to tell just when any of this took place. I guess it depends on how you wish to proceed as to how you want to build your Italeri PT-109 model. Without concrete evidence, who is going to tell you that it is wrong. . I noticed something in the photo on Ballard's book; I think I do see a depth charge behind the guy standing on the foredeck.